this thread is NOTmeant to be a discussion thread, (we have enough of those already ) but a place where people can post links to sites with factual summaries of laws pertaining to photography, or speficic places and photography restictions. I will make the first two postings as an example. Last edited by Lowell Goudge; 05-15-2009 at 06:39 AM. the second is their guide to filming and photography, there are some contradictions with the first. 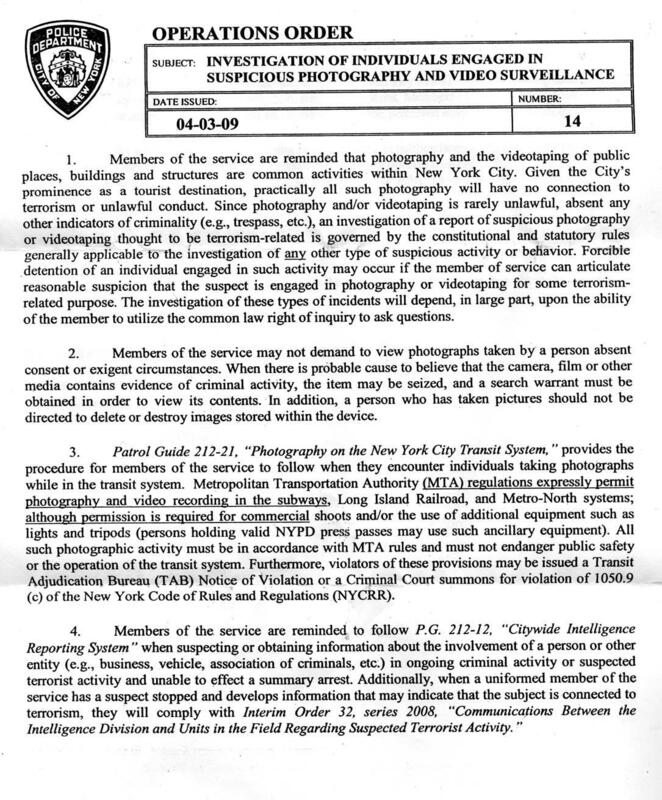 New York's photography permit rules. Basically, photography is OK as long as you don't trespass and don't use equipment that gets in the way of other passengers. Please note, there are restrictions only of WHERE you may take photographs from but not WHAT you may photograph. Basically, you cannot shoot while on or in "restricted areas." (ticketed passenger may shoot on platforms or on trains). However, there is nothing saying you cannot take photos OF those areas from public property or within publically accessable portions of Amtrak property. Last edited by Lowell Goudge; 05-19-2009 at 03:06 PM. Look at the vertical menu on the left side of the page. Pick a topic of interest; he usually covers it thoroughly and thoughtfully. Last edited by sholtzma; 08-25-2009 at 12:05 PM.